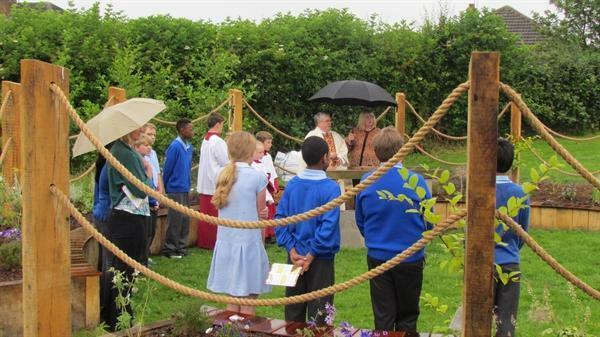 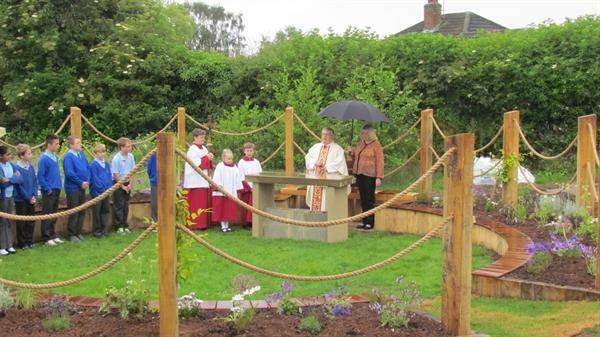 Our plans for the first Mass in our Garden of Reflection were spoiled by the weather. 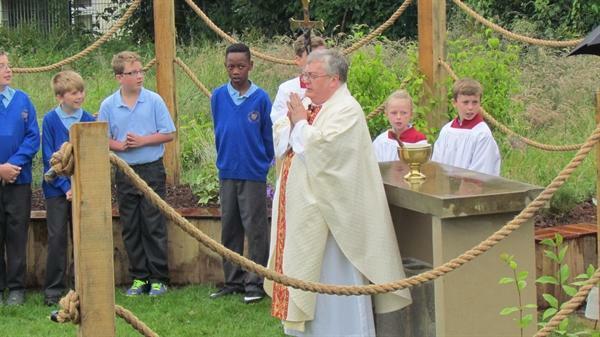 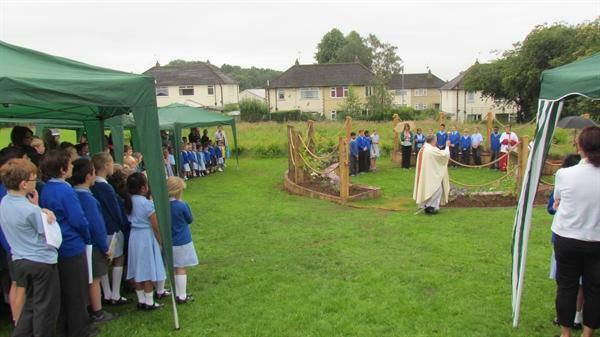 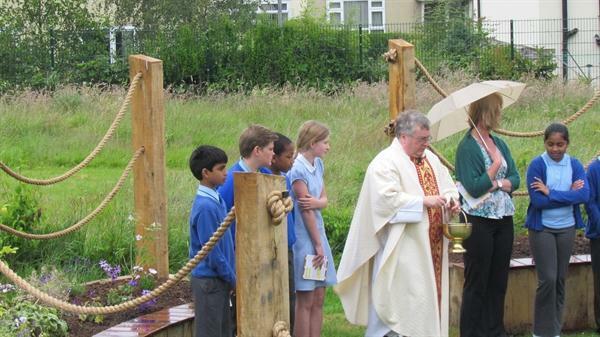 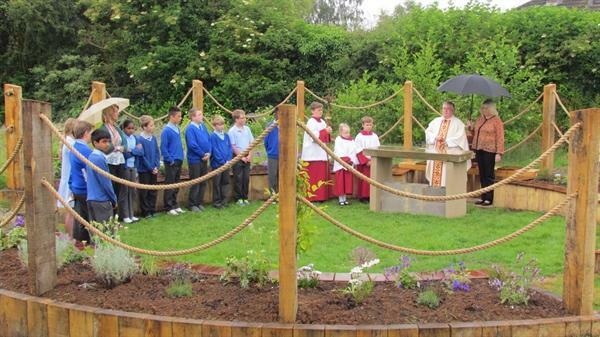 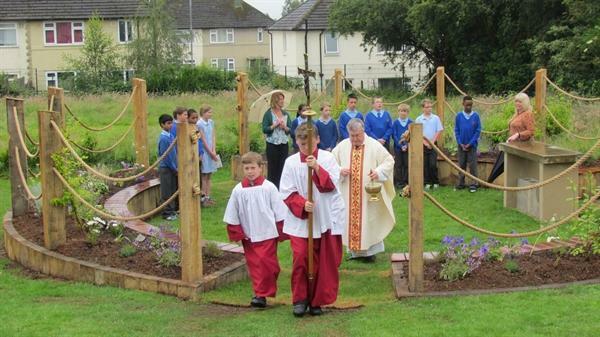 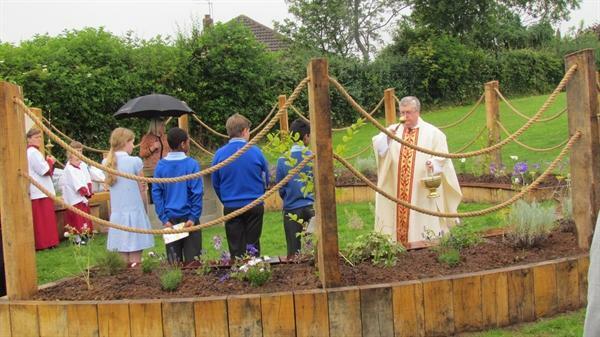 After Mass in Church, the whole school gathered and the garden was blessed by Fr Tim. 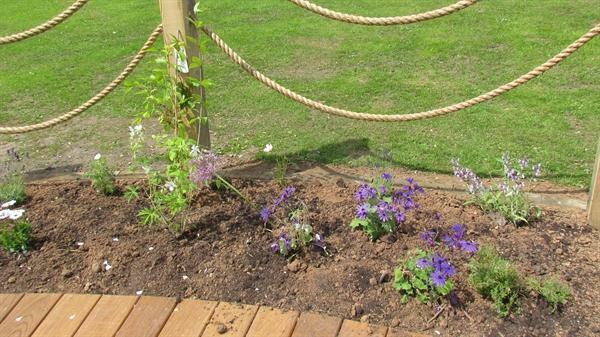 Although it is not quite complete ~ the landscape gardeners will be back during the summer holiday to put down lovely Indian stone flags ~ all children and staff were warmly invited to start using the beautiful space for contemplation, reflection and prayer. 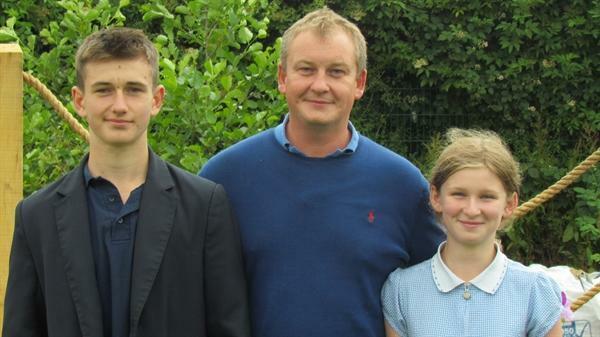 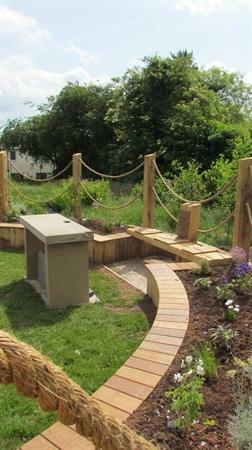 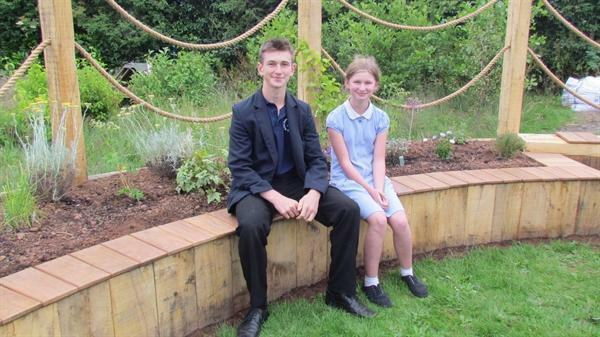 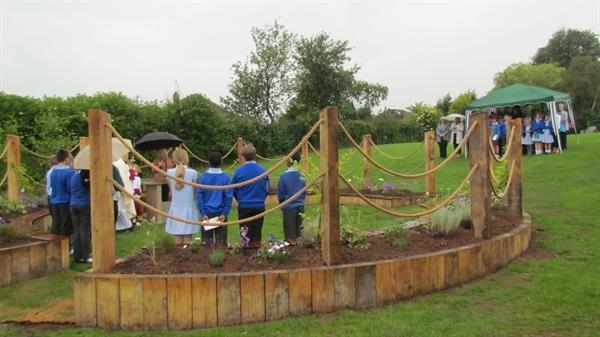 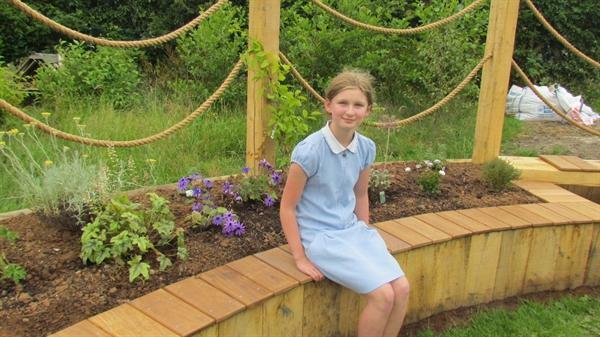 Our Garden of Reflection is dedicated to the memory of Louise Lockwood, an active parent who supported our school in so many ways who sadly died last year.